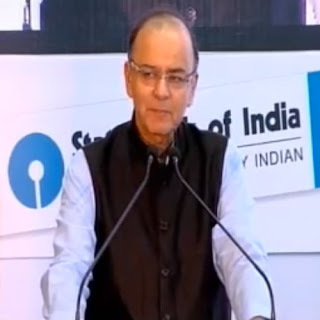 Union Finance Minister Arun Jaitley on Tuesday launched the State Bank Of India's mobile wallet 'Buddy' and said technological advances would change the habits of consumers. "There are millions of people who will no longer have to rely on passbooks, and cheque books will become outdated due to mobile wallet.... Cash transactions will go down and expenditure will become easier," he remarked. Available in 13 Indian languages, the 'Buddy' application can be used by all customers irrespective of the bank they bank with or the card they use. With features like send money, ask money, send reminders to settle dues, transfer additional cash into an account of the customer's choice free of cost, Buddy has been launched on Google Playstore. It will soon be available on Apple app stores. 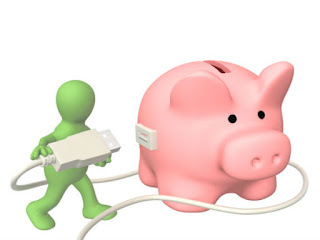 It can be used for recharge, pay bills instantly, book movie tickets, flights, hotels and shopping with secure and convenient digital payments. Jaitley also unveiled the bank's subsidiary SBI Foundation's website, set up for implementing the SBI Group's Corporate Social Responsibility activities. The SBI Foundation will promote and help the causes related to education, environment, health, women empowerment and child welfare and other such activities under the ambit of CSR and sustainability policy of the entire SBI Group. Speaking on the occasion, Jayant Sinha, minister of state for finance, said it was not the money but management approach, stable relationship and performance contracts that were far more important in funding of Non-Governmental Organisations. On the occasion, Jaitley felicitated Dr. Huzaifa Khorakiwala, executive director and trustee of Wockhardt Foundation for its exemplary work in the area of sanitation and construction of toilets in record time. Jaitley also felicitated Ramji Raghavan, founder-chairman of Agastya International Foundation, which runs mobile hands-on science programme for economically disadvantaged children and teachers from rural India. Present on the occasion was SBI chairperson Arundhati Bhattacharya and Dr. Hasmukh Adhia, secretary, department of financial services, and other dignitaries.